Abstract: Recent research has critically evaluated the rapid growth of volunteer urban environmental stewardship. Framings of this phenomenon have largely focused upon environmentality and/or neoliberal environments, unfortunately often presenting a totalising picture of the state and/or market utilising power from above to create environmental subjects with limited agency available to local citizens. Based upon qualitative research with volunteer urban environmental stewards in Philadelphia, affective labour is proposed as an alternative explanation for participation. Stewards volunteered their time and labour due to the intense emotional attachments they formed with their neighbourhoods, neighbours, and nonhuman others in relationships of affective labour. Volunteer urban environmental stewardship as affective labour provides room for agency on the part of individuals and groups involved in volunteer urban environmental reproduction and opens up new ways of relating to and being with human and nonhuman others. Newell, J.P., Cousins, J.C. & J. Baka. 2017. Kim, O.H., Nugent, J.B., Yi Z., Newell, J.P. & A.C. Curtis. 2017. Why data for a political-industrial ecology of cities? Pincetl, Stephanie, & J.P. Newell. 2017. Abstract: Despite our declared era of ‘Big Data’, we lack information on the flows of energy, water, and materials that support modern societies. these data are essential to understand how ecologies and the labor of people in far flung places supply urban areas, as well as how these resource flows are used by whom, where, and for what purpose. Like other places, the state of California is struggling with issues of data privacy and access. water scarcity and the state’s commitments to greenhouse gas emission (GHG) mandates raise the issue of consumption and the unequal burdens that derive from it. These mandates have unveiled the lack of comparable and verifiable data to understand crucial production-consumption dynamics. This paper illustrates how spatially-explicit big data can be harnessed to delineate and urban political-industrial ecology of resource flows. Based on research using address-level energy and water use consumption data for Los Angeles County, the analysis reveals how the region’s wealthy residents use a disproportionate share of the water and energy resources. the paper also identifies structural obstacles to increasing fees and taxes or altering property rights that would reduce this consumption and foster more equitable resource use. This study has implications for theory, method, and policy related to urban sustainability, which is unobtainable without first unraveling the political-industrial ecology of the material basis of urbanization processes. Meerow, Sara, & J.P. Newell. 2017. 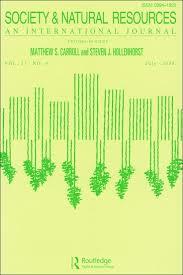 Abstract: Cities are expanding green infrastructure to enhance resilience and ecosystem services. Although green infrastructure is promoted for its multifunctionality, projects are typically sited based on a particular benefit, such as stormwater abatement, rather than a suite of socio-economic and environmental benefits. This stems in part from the lack of stakeholder-informed, city-scale approaches to systematically identify ecosystem services tradeoffs, synergies, and ‘hotspots’ associated with green infrastructure and its siting. To address this gap, we introduce the Green Infrastructure Spatial Planning (GISP) model, a GIS-based multi-criteria approach that integrates six benefits: 1) stormwater management; 2) social vulnerability; 3) green space; 4) air quality; 5) urban heat island amelioration; and 6) lanscape connectivity. Stakeholders then weight priorities to identify hotspots where green infrastructure benefits are needed most. Applying the GISP model to Detroit, we compared the results with the locations of current green infrastructure projects. The analysis provides intital evidence that green infrastructure is not being sited in high priority areas for stormwater abatement, let alone for ameliorating urban heat island effects, improving air quality, or increasing habitat connectivity. However, as the Detroit GISP model reveals, it could be developed in locations that simultaneously abate stormwater, urban heat island, and air pollution. Tradeoffs exist between siting to maximize stormwater management versus landscape connectivity. The GISP model provides and inclusive, replicable approach for planning future green infrastructure so that it maximizes social and ecological resilience. More broadly, it represent a spatial planning approach for evaluating competing and complementary ecosystem service priorities for a particular landscape. Newell, J.P. & Henry, L.A. 2017. 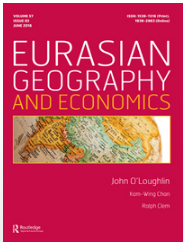 Eurasian Geography and Economics, DOI: 10.1080/15387216.2017.128951. Abstract: In the 25 years since the dissolution of the Soviet Union, sweeping political, economic, and social changes have profoundly influenced environmental protection in Russia, the world’s largest county and one of global importance with respect to natural resources, biodiversity conservation, wilderness preservation, and climate change mitigation. This paper reviews the state of the environment by assessing post-Soviet era changes to the legislation, government regulatory institutions, and civil society. A gulf exists between Russia’s formal environmental laws and state agency capacity and interest in enforcing them. This stems, in part, from repeated bureaucratic reorganizations that progressively eroded environmental institutions. The Russian environmental movement, which blossomed during Gorbachev’s reforms in the late 1980s, struggled in the 1990s to mobilize the broader public due to economic hardship and political instability. Since then, the Putin administration has labeled many environmental groups “anti-Russian” and used aggressive tactics such as raiding NGO offices, intimidating journalists, and instituting severe legislative measures to quash advocacy and dissent. Post-Soviet environmental successes have been relatively few, with expansion of the protected area system and forest certification notable exceptions. These successes can partly be attributed to efforts by large environmental organizations, but expansion of certification and corporate social responsibility is also tied to Russian business interests dependent on natural resource exports to global markets increasingly sensitive to environmental concerns. the paper concludes by illustrating how corruption, poor enforcement, and the muzzling of civil society render the state incapable of resolving arguably its most significant environmental challenge: illegal and unregulated resource use. Urban resilience for whom, what, when, where, and why? 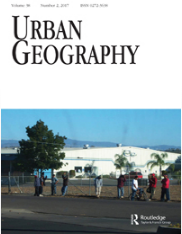 Abstract: In academic and policy discourse, the concept of urban resilience is proliferating. Social theorists, especially human geographers, have rightfully criticized that the underlying politics of resilience have been ignored and stress the importance of asking “resilience of what, to what, and for whom?” This paper calls for careful consideration of not just resilience for whom and what, but also where, when, and why. A three-phase process is introduced to enable these “five Ws” to be negotiated collectively and to engender critical reflection on the politics of urban resilience as plans, initiatives, and projects are conceived, discussed, and implemented. Deployed through the hypothetical case of green infrastructure in Los Angeles, the paper concludes by illustrating how resilience planning trade-offs and decisions affect outcomes over space and time, often with significant implications for equity. Meerow, S., Stults, M. 2016. Abstract: In the face of climate change, scholars and policymakers are increasingly concerned with fostering “urban resilience”. This paper seeks to contribute towards a better understanding of synergies and differences in how academics and local decision-makers think about resilience in the context of climate change. We compare definitions and characteristics of urban climate resilience in the academic literature with a survey of 134 local government representatives from across the U.S. Our analysis shows discrepancies in how academics and practitioners define and characterize urban climate resilience, most notably in their focus on either “bouncing back” or bouncing forward” after a disturbance. practitioners have diverse understandings of the concept, but ten to favor potentially problematic “bouncing back” or engineering based definitions fo resileince. While local government respondents confirm the importance of all 16 resilience characteristics we identified in the academic literature, coding practitioners’ free response definitions reveals that they rarely mention qualities commonly associated with resilience in the scholarly literature such as diversity, flexibility, and redundancy. these inconsistencies need to be resolved to ensure both the usability of climate resilience research and the effectiveness of resilience policy. Liang, S., Guo, S., Newell, J.P., Feng, Y., Chin, A., Xu, M. 2016. Journal of Industrial Ecology, DOI: 10.1111/jiec.12417. Abstract: Russian forest resources are important for global carbon cycling. In contrast to traditional analyses that focus on the harvest and direct use of Russian timber resources (a.k.a. production-based accounting), this study investigates how the consumption of nations drives Russian timber harvest (a.k.a. consumption-based accounting or the Russian timber footprint). China is the biggest direct importer and ﬁnal consumer of Russian timber. The United States, Japan, and major European countries directly import relatively small amounts of Russian timber, but serve to drive large amounts of Russian timber harvest through their ﬁnal consumption. Through structural path analysis, individual supply chain paths are delineated to show linkages between Russian timber harvest and the ﬁnal consumption of nations. Findings of this study inform consumption-side measures for Russian forest conservation, for example, taking shared responsibility and improving the production efﬁciency of key sectors in consuming nations. Meerow, S., Newell, J.P., & Stults, M. 2016. 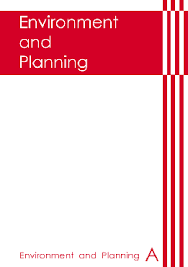 Landscape and Urban Planning, DOI: 10.1016/j.landurbplan.2015.11.011. Abstract: Fostering resilience in the face of environmental, socioeconomic, and political uncertainty and risk has captured the attention of academics and decision makers across disciplines, sectors,and scales. Resilience has become an important goal for cities, particularly in the face of climate change. Urban areas house the majority of the world’s population, and, in addition to functioning as nodes of resource consumption and as sites for innovation, have become laboratories for resilience, both in theory and in practice. This paper reviews the scholarly literature on urban resilience and concludes that the term has not been well defined. Existing definitions are inconsistent and underdeveloped with respect to incorporation of crucial concepts found in both resilience theory and urban theory. Based on this literature review, and aided by bibliometric analysis, the paper identifies six conceptual tensions fundamental to urban resilience. To advance this burgeoning field, more conceptual clarity is needed. This paper, therefore, proposes a new definition of urban resilience. This definition takes explicit positions on these tensions, but remains inclusive and flexible enough to enable uptake by, and collaboration among, varying disciplines. Nordgren, J., Stults, M., Meerow, S. 2016. Environmental Science & Policy, DOI: 10.1016/j.envsci.2016.05.006. Abstract: Local governments are on the front line of efforts to address climate-related impacts. recognizing this, there is a growing movement to develop and deliver tools, resources, and services to support local communities’ adaptation initiatives. There is, however, limited understanding of what specific types of resources exist and how well these resources match the needs of local practitioners. To bring clarity to these questions, we: 1) assessed the current landscape of climate-adaptation resources and services; 2) surveyed community practitioners to learn how well these resources align with their needs; and 3) convened leading service providers and local practitioners to identify strategic opportunities for moving the adaptation field forward. Findings demonstrate that existing services and resources are meeting the early phases of local adaptation efforts such as conducting vulnerability assessments and creating adaptation plans, but are failing to meet the needs associated with implementing, monitoring, and evaluating adaptation activities. Additionally, a lack of funding and staff time to support adaptation, as well as inaccessible resource formats are barriers impeding local climate adaptation efforts. The mismatch between the types and formats of services being provided and the needs of local governments means that more work is needed to ensure that climate adaptation resources are responsive to the existing and future needs of local governments. Moreover, our research finds that there is a strong and growing need to organize and streamline the climate adaptation resource and service landscapes so that practitioners can easily, effectively, and efficiently access the resources they need to build more resilient local communities. Foster, A. & Dunham, I.M. 2015. Computers, Environment and Urban Systems, DOI: 10.1016/j.compenvurbsys.2014.08.001. Dunham, I.M. & Foster, A. 2015. 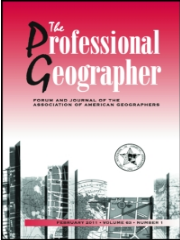 The Professional Geographer, DOI: 10.1080/00330124.2014.907697. Abstract:Although mainstream banking institutions offer a suite of benefits to patrons, the proportion of U.S. households that are unbanked and underbanked remains persistently high. This study examines the spatial relationship between alternative financial service providers (AFSPs) and banks and neighborhood demographics in southeastern Pennsylvania. Results from spatial regression analyses reveal that AFSPs are disproportionately located in close proximity to neighborhoods with comparatively lower levels of educational attainment and higher rates of subprime mortgage lending, whereas banks are disproportionately located in close proximity to neighborhoods with comparatively higher levels of income and educational attainment and a lower percentage of minority residents. Fang, A., Newell, J.P., & Cousins, J.J. 2015. 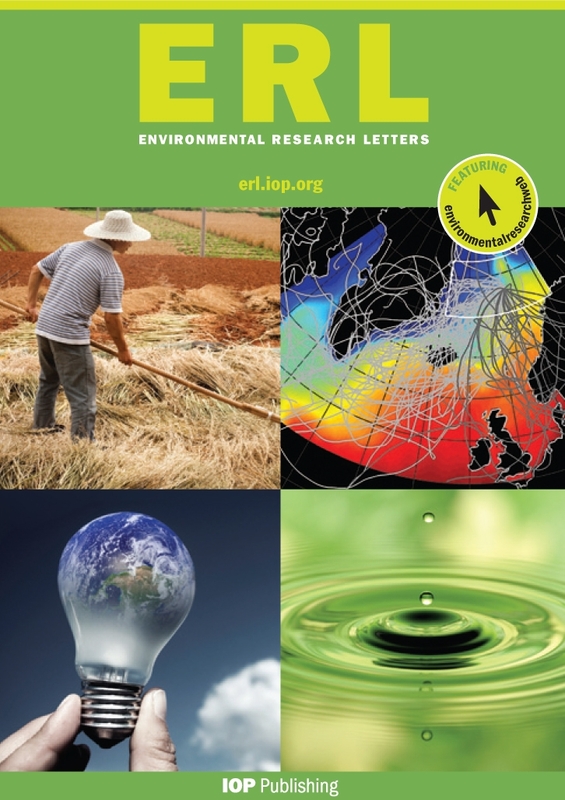 Environmental Research Letters, DOI: 10.1088/1748-9326/10/11/114002. Abstract: Due to climate change and ongoing drought, California and much of the American West face critical water supply challenges. California’s water supply infrastructure sprawls for thousands of miles, from the Colorado River to the Sacramento Delta. Bringing water to growing urban centers in Southern California is especially energy intensive, pushing local utilities to balance water security with factors such as the cost and carbon footprint of the various supply sources. To enhance water security, cities are expanding efforts to increase local water supply. But do these local sources have a small carbon footprint than imported sources? To answer this question and others related to the urban water-energy nexus, this study uses spatially explicit life cycle assessment to estimate the energy and emissions intensity of water supply for two utilities in Southern California: Los Angeles Department of Water and Power, which serves Los Angeles, and the Inland Empire Utility Agency, which serves the San Bernardino region. This study differs from previous research in two significant ways: (1) emissions factors are based not on regional averages, but on the specific electric utility and generation sources supplying energy throughout transport, treatment, and distribution phases of the water supply chain; (2) upstream (non-combustion) emissions associated with the energy sources are included. This approach reveals that in the case of water supply to Los Angeles, local recycled water has a higher carbon footprint than water imported from the Colorado River. In addition, by excluding upstream emissions, the carbon footprint of water supply is potentially underestimated by up to 30%. These results have wide-ranging implications for how carbon footprints are traditionally calculated at local and regional levels. Cousins, J., & Newell, J.P. 2015. Progress in Human Geography, DOI: 10.1177/0309132514558442. Abstract: This paper considers the limits and potential of ‘urban metabolism’ to conceptualize city processes. Three ‘ecologies’ of urban metabolism have emerged. Each privileges a particular dimension of urban space, shaped by epistemology, politics, and model-making. Marxist ecologies theorize urban metabolism as hybridized socio-natures that reproduce uneven outcomes; industrial ecology, as stocks and flows of materials and energy; and urban ecology, as complex socio-ecological systems. We demarcate these scholarly islands through bibliometrics analysis and literature review, and draw on cross-domain mapping theory to unveil how the metaphor has become stagnant in each. To reinvigorate this research, the paper proposes the development of political-industrial ecology, using urban metabolism as a boundary metaphor. Pandit, A., Minne, E.A., Li, F., Brown, H., Jeong, H., James, J-AC., Newell, J., Weissburg, M., Chang, M.E., Xu, M., Yang, P., Wang, R., Thomas, V.M., Yu, X., Lu, Z., & Crittenden, J.C. 2015. 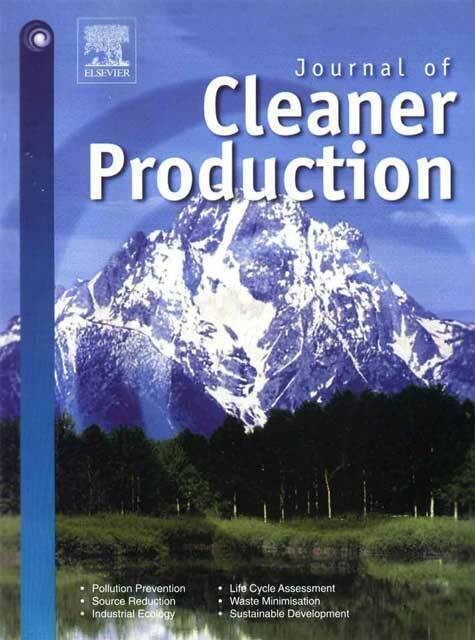 Journal of Cleaner Production, DOI: 10.1016/j.jclepro.2015.09.010. Abstract: Increasing urbanization places cities at the forefront of achieving global sustainability. For cities to become more sustainable, however, the infrastructure on which they rely must also become more productive, efficient and resilient. Unfortunately, the current paradigm of urban infrastructure development is fragmented in approach lacking a systems perspective. Urban infrastructure systems are analogous to ecological systems because they are interconnected, complex and adaptive components that exchange material, information and energy among themselves and to and from the environment, and exhibit characteristic scaling properties that can be expressed by Zipf’s Law. Analyzing them together as a whole, as one would do for an ecological system, provides a better understanding about their dynamics and interactions, and enables system-level optimization. The adoption of this “infrastructure ecology” approach will result in urban redevelopment that requires lower investment of financial and natural resources to build and maintain, is more sustainable and resilient, and enables greater and more equitable opportunities for the creation of wealth and comfort. The 12 guiding principles of infrastructure ecology will provide a set of goals for urban planners, engineers and other decision-makers in an urban system for urban redevelopment. Meerow, S & J.P. Newell. 2015. Abstract: Resilience is an increasingly popular concept in academic research and public discourse and is closely connected to complex systems theory. This article reviews research on resilience and complexity in industrial ecology and the broader academy by conducting a bibliometric analysis of the academic literature over a 40-year period (1973–2014). The review revealed a large body of scholarship composed of five clearly identifiable intellectual communities, with resilience theory from ecology especially influential. Based on the study of ecosystems, these scholars conceptualize resilience as a dynamic and adaptive property of systems with multiple stable states that evolve over time. In comparison, resilience research in industrial ecology is limited and underdeveloped. Bibliometric analysis of this literature yielded just 37 publications and a scholarly network with no well-formulated research communities. This contrasts with industrial ecology scholarship on sustainability; a similar search yielded 1,581 publications. Given the emerging importance of the resilience concept and its relevance for sustainability issues, industrial ecology should expand research efforts in this area. The growing body of industrial ecology scholarship on complex systems provides a foundation to do so, as does the field’s long-standing practice of using ecological principles to inform the study and design of industrial ecosystems. The article concludes by discussing how industrial ecology would benefit from incorporating principles of dynamic resilience and, conversely, how industrial ecology approaches could advance broader resilience scholarship. Kim, O.S. 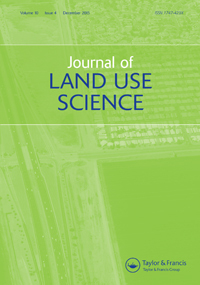 & Newell, J.P.
Journal of Land Use Science, DOI: 10.1080/1747423X.2014.947640. Abstract: This paper proposes a new land-change model, the Geographic Emission Benchmark (GEB), as an approach to quantify land-cover changes associated with deforestation and forest degradation. The GEB is designed to determine ‘baseline’ activity data for reference levels. Unlike other models that forecast business-as-usual future deforestation, the GEB internally (1) characterizes ‘forest’ and ‘deforestation’ with minimal processing and ground-truthing and (2) identifies ‘deforestation hotspots’ using open-source spatial methods to estimate regional rates of deforestation. The GEB also characterizes forest degradation and identifies leakage belts. This paper compares the accuracy of GEB with GEOMOD, a popular land-change model used in the UN-REDD (Reducing Emissions from Deforestation and Forest Degradation) Program. Using a case study of the Chinese tropics for comparison, GEB’s projection is more accurate than GEOMOD’s, as measured by Figure of Merit. Thus, the GEB produces baseline activity data that are moderately accurate for the setting of reference levels. Cousins, J. & J.P. Newell. 2015. Abstract: This paper develops a political-industrial ecology approach to explore the urban water metabolism of Los Angeles. Conventional approaches to quantify urban carbon footprints tend to “black box” methodologies that guide the carbon emissions calculus and the social, political, ecological, and economic processes that perpetually reshape nature-society metabolisms. To more fully delineate the water supply metabolism of Los Angeles, this paper combines theory and method from urban political ecology and industrial ecology. This approach offers valuable insights into the spatiality of material metabolisms and the socio-political processes reshaping the relations between nature and society. Wolch, J.R, Byrne, J., & J.P. Newell. 2014. Landscape and Urban Planning, 125: 234-244. Abstract: Urban green space, such as parks, forests, green roofs, streams, and community gardens provide critical ecosystem services, as well as promote physical activity, psychological well-being, and the general public health of urban residents. Recognizing these benefits, many US cities have implemented strategies to increase the supply of green urban space, especially in park-poor neighborhoods. However, urban green space strategies may be paradoxical. Strategies that are “just green enough”, and that protect both social and ecological sustainability, deserve more attention, as the creation of new green space can lead to gentrification and displacement of the very individuals it is intended to benefit.View this article featuring Jennifer Wolch on “eco-gentrification”. Lee, K.C.L., Newell, J.P., Wolch, J., Schneider, N. & P. Joassart-Marcelli. 2014. 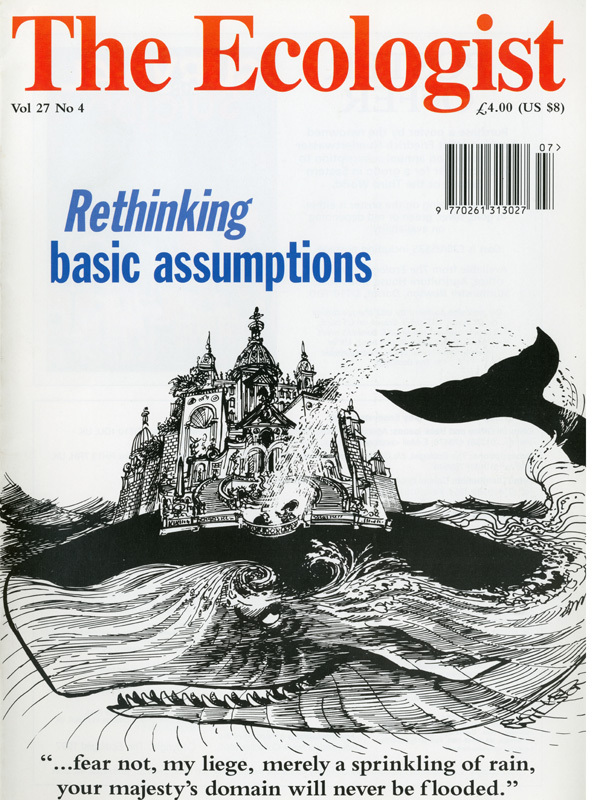 Society & Natural Resources, 27(9): 948-963. Abstract: Despite widespread media coverage of livestock-related issues and growing scientific evidence linking meat production and climate change, systematic content analysis of this relationship in media coverage has been surprisingly minimal. In this article, we coded livestock-related articles from the Los Angeles Times over the 1990-2010 period to understand how various actants and artifacts shaped different story-networks– how a media report or “story” is framed. Distinctive story-networks framed the livestock-climate change linkage as an issue to be addressed through either technological innovation, individual lifestyle choices, or policy action. Newell, J.P. & J. Simeone. 2014. Eurasian Geography and Economics. Advanced online publication, 55(1): 1-34. Abstract: Using production and trade flow data from 1946 to 2012, this paper assesses the state of Russia’s forest resources and demonstrates how sweeping changes ushered in by perestroika and globalization have forged a highly export-dependent forest sector. In tracking these flows through China to US urban centers, we demonstrate how consumption patterns affect ecosystems and socioeconomic relations in resource and manufacturing peripheries far beyond regional and national borders. The research is illustrative of how the “ecological shadow” of forest change and degradation in post-Soviet Russia is a confluence of factors related to both consumption and production. Reynolds, K.D., Dahmann, N., Wolch, J.R., Joassart-Marcelli, P., Dunton, G., Rudulph, D., Newell, J.P., Thayer, J., & M. Jerrett. 2014. Health & Place, 28: 67-72. Abstract: While literature describes the influence of parks on physical activity, and identifies factors contributing to park utilization, little work has been done researching the availability of recreation resources within parks. In this study, an audit of recreation programs with moderate or higher levels of physical activity in Los Angeles area cities was conducted using the internet, telephone, and survey methods. Overall, findings suggest that the capacity of recreational courses to promote energy expenditure may depend on targeted age groups, age of the city’s population, and municipal fiscal capacity. Newell, J.P., M. Seymour, et al. 2012. 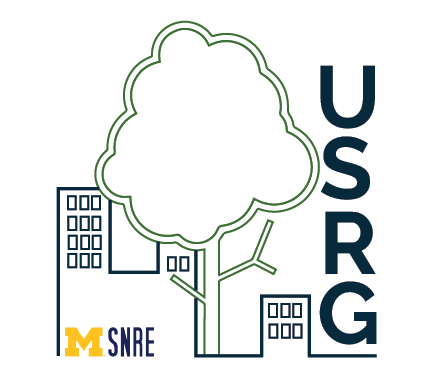 Abstract: This article analyzes alley greening programs in seven cities in the United States using the lens of sustainability planning. Study results indicate that most alley greening programs are narrowly oriented toward stormwater management. An in-depth exploration of the alley greening program in the city of Los Angeles illustrates a more robust commitment to sustainability– through the adoption of goals related to environmental protection, economic development, and social equity– might be actualized in the context of alley greening efforts. Meerow, S. & I. Baud. 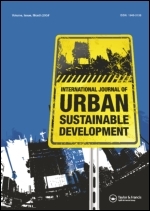 2012.
International Journal of Urban Sustainable Development, 4(1): 201-38. Abstract: “Resilience thinking” is an increasingly popular approach among scholars and policymakers, with advocates heralding it as the successor to the dominant sustainable development paradigm. This article examines two programs for renewable, distributed power generation in Thailand from a resilience perspective. A conceptual model is constructed from the literature and use to analyze the programs based on information from expert interviews and other sources. Results suggest that the programs are increasing the resilience of the system, but their contribution is limited by barriers related to governance. Xu, M., M. Weissburg, J.P. Newell, & J.C. Crittenden. 2012. Environmental Science & Technology, 46(15): 7928-7929. Abstract: Engineering research has conceptualized and modeled cities as an organismic metabolism, consuming energy and materials, and metabolizing them, and generating emissions and waste. But through this material and energy flow analysis, the specific complex interactions between infrastructure systems that shape these flows remain poorly understood. Understanding how these infrastructures interact with each other and how city-level properties emerge from such underlying interactions is fundamental to the design, development, and operation of sustainable urban systems. This article proposes the concept of infrastructure ecology as a way to analyze, via analogical mapping of urban to natural systems, the complex interdependence of urban infrastructure systems, and offer four fundamental research questions to foster the science of this new concept. Newell, J.P. & R. Vos. 2012. Environmental Impact Assessment Review, 37(0): 23-36. Abstract: Modification and loss of forests due to natural and anthropogenic disturbance contribute an estimated 20% of annual greenhouse gas (GHG) emissions worldwide. Although forest carbon pool modeling rarely suggests a ‘carbon neutral’ flux profile, the life cycle assessment community and associated product carbon footprint protocols have struggled to account for the GHG emissions associated with forestry, specifically, and land use generally. In this paper, through a comparative study of U.S. and Chinese coated freesheet paper, we develop the initial foundations for a methodology that rescales IPCC methods from the national to the product level, with reference to the approaches in three international product carbon footprint protocols. Newell, J.P. & R. Vos. 2011. 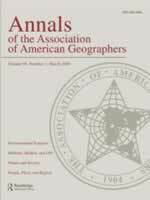 Annals of the Association of American Geographers, 101 (4): 730-741. Abstract: Through a comparative model of energy sources and emissions in the globalized paper industry, this article reveals how complexities associated with geographic variation and land use change create indeterminancy in footprints based on life cycle assessment protocols. Using industry and trade data, the authors develop geographic information system transportation and energy models to map the globally dispersed pulp supply networks and to rescale Intergovernmental Panel on Climate Change GHG inventory guidelines to include carbon loss associated with land use change in the carbon footprint of coated paper. Kim, J., M. Rahimi, & J.P. Newell. 2011. 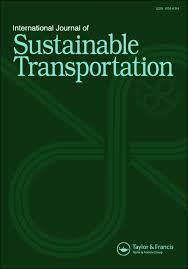 Sustainable Transportation, 6 (6): 321-337. Abstract: To reduce greenhouse emissions, ports around the world are considering using electric cargo handling equipment. To assess the benefits of the strategy, this study provides a comparative life-cycle assessment between diesel and electric yard tractors in a case study of the Port of Los Angeles. Results indicate a significant reduction in life-cycle emissions as the port shifts to electric vehicles and increases its use of renewable energy sources (eg. wind and solar), and that legislated reduction targets are not achievable by the year 2030. Wolch, J., J.P. Newell, H. Seymour, H. Bradbury-Huang, K. Reynolds, J. Mapes, & K. Brady. 2010. Environment and Planning A, 42: 2874-2896. Abstract: Alleys represent unrealized community assets that could be transformed by urban planners and managers into ‘green infrastructure’ to simultaneously offer multiple ecological, economic, and social benefits– including urban walkability and mobility, play space and green cover, biodiversity conservation and urban runoff infiltration– and thereby to contribute to a more sustainable urbanism. The paper explores the distribution, physical features, activity patterns, and resident perceptions of alleys in Los Angeles, CA through an integrated mixed-methods strategy. Results show that most alleys in Los Angeles are underutilized and clean, although they can be, and are often perceived as, dirty and unsafe. Jenerette, G., W. Marussich, & J.P. Newell. 2006. Abstract: Two prominent and alternate approaches, ecosystem service valuation and ecological footprints, link the production of ecosystem services with their consumption by societies. We combined these two approaches to better understand variation in the societal demand and production of freshwater, a critical ecosystem service, for 121 cities in the United States. The analysis linked previously compiled data on urban water use and the spatial distribution of run-off water throughout the conterminous United States to compute heterogeneous urban water use footprints for all 121 cities. Robinson, L., J.P. Newell, & J. Marzluff. 2005. Landscape and Urban Planning, 71 (1): 51–72. Note: 2nd most frequently cited article in journal for 2007. 5-year impact factor in Geography (8/51). Vandergert, P. & J.P. Newell. 2003. 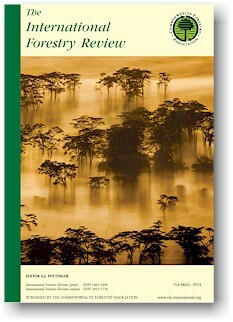 The International Forestry Review, 5 (3): 303–6. Abstract: The vast forests of the Russian Far East and Siberia represent one of the last great forest wildernesses in the world, containing large expanses of boreal and northern temperate forest types. However, despite the seeming vastness of the forests in these regions, research has shown that they are becoming increasingly fragmented, particularly in the accessible southern areas, and much of this fragmentation is as a result of industrial forestry. While officially recorded timber production has declined over the past decade, this masks the unregulated and unrecorded production that has characterized much of the industry during this period. During the 1990s, the shift from domestic processing and consumption to the export of raw logs, the proliferation of operations as a result of privatization and liberalization, and the lack of regulatory capacity facilitated the increased criminalization of logging operations and cross-border trade. Newell, J.P. & E. Wilson. 1996. Abstract: The Russian Far East has long been regarded by Moscow as a natural resource base. Under the Soviet regime, huge industrial complexes were set up to exploit the region’s abundant reserves of timber, coal, diamonds, gold, oil and gas. With the collapse of the Soviet Union, the area is now being opened up to to foreign investment. Powerful national and multinational interests are seeking to turn the region into a “natural resource colony” for the Pacific Rim economies. McKinleyville, CA: Daniel & Daniel. The Russian Far East (RFE) is a vital storehouse of oil and gas, timber, fish, and precious metals that will inevitably be tapped as Pacific Rim economies seek to secure the natural resources necessary for long-term economic growth. Sustainable development of the resources in this vast regionù an area more than two-thirds the size of the United Statesùhas emerged as a major policy priority for the Russian government and the international community. The Russian Far East: A Reference Guide for Conservation and Development is the most comprehensive English-language reference text on the region to be published in the more than ten years. With contributions from an interdisciplinary team of ninety specialists from Russia, the United States, and the United Kingdom, the book overviews and analyzes the region’s geography and ecology, natural resources, major industries, infrastructure, foreign trade, demographics, protected area system, and legal structure. Particular attention is devoted to how to region can develop in an environmentally sustainable way. The book is divided into eleven chapters. The first chapter summarizes the RFE as a whole, while each of the remaining ten chapters deal with an administrative region within the Russian Far East. All of the chapters are divided into identical sections to simplify comparison among the regions. More than fifty maps, a number of which are in color, detail administrative districts and indigenous peoples’ lands, protected areas, mineral deposits, timber resources, fisheries, and energy reserves. Tables and figures provide the reader with a wealth of useful, hard-to-find statistics. Color and black and white photographs. Tokyo: Friends of the Earth- Japan. 204 pages. Scaling up agriculture in city-regions to mitigate FEW system impacts. Daigger, G., Newell, J.P., Love, N., McClintock, N., Gardiner, M., Mohareb, E., Horst, M., Blesh, J., Ramaswami, A. 2016. Ann Arbor, MI: School of Natural Resources and Environment and Department of Civil and Environmental Engineering, University of Michigan. 68 pages. Blanco, H., Newell , J.P., Stott, L., & M. Alberti. 2012. Los Angeles, CA: Center for Sustainable Cities, Price School of Public Policy, University of Southern California. 80 pages. Mans, U. & S. Meerow. 2012. ICLEI Global Report. 41 pages. Newell, J.P. & M. Dixon. 2010. SAGE Publications: Thousand Oaks, CA. Vos. R. O., & J.P. Newell. 2010. A Comparative Analysis of Carbon Dioxide Emissions in Coated Paper Production: Key Differences between China and the U.S.
Vos, R. & J.P. Newell. 2009. Los Angeles, CA: USC Center for Sustainable Cities. 51 pages. Cassidy, A., Newell J.P., & J. Wolch. 2008. Los Angeles, CA: USC Center for Sustainable Cities. 55 pages. Newell J.P. & G. Kuru. 2008. Gland, Switzerland: WWF-International. 78 pages. Newell J.P. & R. Vos. 2008. Los Angeles, CA: USC Center for Sustainable Cities. 33 pages. Newell J.P., Madachy, R., Haas B., & H. Bradbury. 2008. Los Angeles, CA: USC Center for Sustainable Cities. 28 pages. Creating Parks & Open Space: Using the Green Vision Planning Toolkit 1.0. Newell J.P., C. Sister, J. Wolch, J. Swift, P. Ghaemi, J. Wilson, and T. Longcore. 2007. Los Angeles, CA: University of Southern California GIS Research Laboratory and Center for Sustainable Cities. 60 pages. Keep it Legal: Best Practices for Keeping Illegally Harvested Timber Out of Your Supply Chain. A Country Guide for Russia. Newell J.P. and F. Miller. 2007. Gland, Switzerland: WWF-International. 38 pages. ”Cows, climate, and the media” in Political Ecologies of Meat. Lee, K., Newell, J.P., Wolch, J.R., & P. Jossart-Marcelli. 2015. Keoleian, G., Newell, J.P., Xu, M., & E. Dreps. 2014. Lindberg, S. & S.Meerow. 2011. John Hopkins University Press: Baltimore, MD. Newell, J.P & M. Dixon. 2010. Vos. R. O. & J.P. Newell. 2010. Edited by: A. Wenger, J. Perović, and R. Orttung.